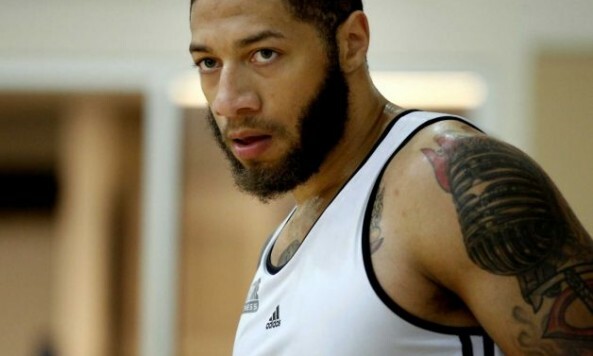 Royce White has a lot of time on his hands these days, just enough minutes and hours to point fingers as to why he is a man without an NBA team right now. “[It] wasn't about that. It was about creating a policy for people who have mental health disorders,” White explained in the article. Prior to the start of the regular season, the Sixers waived White who remains a second-year free agent after being drafted by the Houston Rockets in the first round, where the relationship played out in the media and White got more run with negative headlines than he did on the floor with the Rockets or in the D-League with the Rio Grande Valley Vipers. But regardless if it was in Houston or Philadelphia, the message sent to White is the same: Thanks, but no thanks. The knock in Philly, according to media reports, was that White was out of shape and his conditioning played a major factor in not sticking with the Sixers. And while finding a new fit in the NBA is the end goal with a team, clearly White’s limitations extend beyond coping with his mental health disorder. In five preseason appearances, White averaged 5 points (9 for 23 FG) and 4.4 rebounds per game, and one ejection. So where does Royce White go from here? "I'm a free agent, I'm here, I'm ready to play and I want to play. I have a lot to offer a team. I'm 22; I've never been injured; I still haven't gotten a chance to prove what I can do on the court." Maybe instead of asking, where does White go from here, the question should be how many chances will he get?